I love nonprofits. And I love social media. But nonprofits don't always "get" social media. While there are few truly firm rules about using Facebook, Twitter, LinkedIn, Google+, or any of the other myriad of platforms out there, there are some things that bug donors. What is 1 thing you wish nonprofits "got" about social media? The replies were great! They will definitely help your nonprofit social media. Here they are. "I wish nonprofits would use it as a platform for new work, not a way to hide from doing the old work." "Like most businesses, non-profits tend to look at social media as a money-first or money-only channel. So I would recommend they temper the expectations that social is about fundraising and just focus on being a resource, useful and/or entertaining to their core audience. Make people happy with your content. The donations will come." "Using visual stories: That is taking pictures and posting them on sites like Instagram, Facebook, Google+, Pinterest, etc. and then writing the story behind it. They could also take videos where the story is and recite it as it plays. I have seen dog shelters do this. They take videos of dogs that came to them in very bad conditions and were then nursed back to health. It's a complete story. Told visually." "I would say consistency is so important. I often see non-profits only when they have an event or a campaign they want you to be involved with. I think they could increase awareness and response if they worked on building the relationship throughout the year." "Create a volunteer social media corp. For nonprofits to be really effective at social media, the first step is teaching your volunteers to amplify your messages. By 'amplifying,' I mean sharing with their own social profiles and connections, not speaking on behalf of the non-profit. To do this well, you’ll want to create some method of getting the word out to the volunteers when you have content that needs sharing. You can use a service like GaggleAmp or create a Facebook group or Google+ community. "As you start to see that some individuals are more adept than others, you might want to start training them to actually become community managers. Even if in a group of volunteers of, say 10 people, each person took one hour per week, it could have an enormous impact on your social media communications. To read more about this approach, check out my blog post on Social Media Today." "One lesson that I've learned is when asking for help is to leave gaps. Let people a place they can help and make a difference. People are more willing to help if you look like you need it and if they can see gaps that they can help with. "Non-profits must find a way to tap into and utilize the passionate amateurs who surround their brands. Frequently, there are people who are more than willing to donate their time and expertise to your cause. Find a way to tap into their energy and put them to work. Ask them to attend events and shoot photos or video. Invite them to blog. Hold a monthly meeting and ask for their ideas. These people represent a powerful force with amazing energy just waiting to be tapped into. What are you waiting for?" "One thing I wish nonprofits would get right about their social media is knowing that it is important to have a visual focus when it comes to marketing your content. It's easy to get overwhelmed with sharing content on Facebook, Twitter, Google+ etc that highlights links, text or video but in the end it is vital that a major focus of all these channels is to share visuals over all other types of content. "A study conducted by psychologist Albert Mehrabian showed that 93% of communication is nonverbal, since visuals can be processed by the mind 60,000 times faster than text. With this in mind, it's crucial to tell the story of your mission using appealing visual elements across all of your social platforms. A helpful article on how nonprofits can focus on the visual elements of their social strategy is 5 Ways to Get Visual on Social Media." "I wish that nonprofits would get that social media is social. So many nonprofits broadcast only. It's like they are standing on the balcony, shouting their message onto the people below. A few nonprofits get down and walk into the crowd. They speak to people one on one and in small groups. They talk normally. They are social. Those are the nonprofits I actually connect with using social media." "What I really like is seeing nonprofits investing in great design. It really stands out about other nonprofit websites and helps people more easily connect with their cause." "The 1 thing I wish nonprofits "got" about social media is how to humanize the purpose of their cause." "Let the folks who give be part with their hands and minds - not just their hearts and wallets. We're not the only ones with great ideas. We're not the only ones who can get things done. Let them paticipate fully and they will own what they do, protect it, and love it too." "Make a sincere effort to become a trusted member of your community - to become one of them. What this means is pouring sweat, tears and love into listening and demonstrating how much you care - with replies on blogs, Facebook and Twitter. It means expressing appreciation for your community to the point where it almost seems like the community and the cause comes way before your organization. When this is done correctly, it always results in increased donors, volunteers and revenue. All that's required is time, consideration and trust." - John Haydon, Author "Facebook Marketing for Dummies"
"The biggest thing is that they can no longer ignore it. The web is now a connected one and that means that every nonprofit must add interacting and storytelling into their marketing and fundraising initiatives. Relying on only phone calls, fund raisers and direct mailings is no longer enough. They need to bring in new blood to help them determine how best to approach social media. There are no cookie cutter solutions, so it is important to develop from within." - C.C. Chapman, Author "Amazing Things Will Happen"
"Telling their story, it’s baseline, basic, who do they impact and how? Show me how you are changing the world…"
"I wish more non profits focused on understanding their donor, and creating a positive unforgettable donor experience; whether it's their website, email marketing or engagement on any social platform." "Social Media is one piece of the digital marketing equation, and it has a specific role. This is critical for every non-profit to understand. It is not the 'godsend' nor the 'enemy.' It is one key piece of a three-pronged approach. Social Media is the 'conversation driver' that relies on other content. A non-profit's blog should be the content center that offers substance and the full detail. As each new posted is created, then email marketing is the mechanism of distribution to extend the reach of the content to the current community. When content is created and distributed, then social media comes in as a way to cultivate conversation, build and extend community, and harness the energy and passion of the non-profits mission. Too many make the mistake of shouting out the needs of their non-profit via social media, rather than seeing it as the conversation and community builder that it can be. When social media is used well within this 3-pronged online strategy, the entire digital marketing efforts of the non-profit are multiplied." "I wish Non-profits would realize that if you take risks and do interesting projects leveraging technology in innovative ways, social media will take care of itself." "I wish non-profits understood their stories are powerful, and the more rich the quality of the story, the more it will touch the lives of those you serve, and those you want to sponsor your organization. As much as you can, do video stories. If not video, do audio. If not audio, do a photo and text. Tell me a story, get me involved, and help me see myself in your story. You can always make the richness smaller (videos can be converted to audio which can be converted to a photo and text) but it's harder (and more expensive) to scale that up. Let your audience choose which format they want to consume - and which one they want to share. Make it as easy as possible to share in whatever way I want to, and don't worry about people stealing it. If it's any good, they will steal it, they will rip it off, and they will riff on it. Embrace that." "The one key thing that I wish non profits understood better about social media is the power of conversation online and the art of telling real, human stories. Conversation is powerful. Sharing real human stories can be the difference that people need to understand and get behind supporting an issue. For example, the incredible work that Mark Horvath of Invisible People does by sharing video conversations with people who are facing homelessness has been invaluable in raising awareness related to the true epidemic that communities in Canada and the United States face related to this issue. That said, not every organization necessarily needs to make videos. How about gathering community stakeholders in Google+ Hangouts to discuss issues and solutions? What about using a tool like Audioboo to record the audio of key discussions, educational events or other important storytelling moments? Sometimes audio can be more engaging than video because it requires people to create images in their own mind's eye. There are amazing possibilities for non profits when they use social media tools in creative ways. Conversations and stories matter because we can all relate to them." "In the nonprofit sector, relationships matters most: the relationships with the members, donors and supporters that NPOs depend on for volunteers, financial support and cause advocacy. Storytelling is the best way to get attention of people on social networking sites. These stories emotionally connect people and they share them instantly. These actions not only create awareness among a mass audience but it ultimately helps NPO to raise funds and help people in a cause. One nonprofit really effective at this is NOT FOR SALE, an organization founded by David Batstone. The second thing is to attract influencers to promote a cause; these influencers include celebrities as well. People are ready to act when their favorite influencer endorse something. Sharing visual content, both videos and stills is also an important tactic to go viral on social networks; visual content delivers a thought fast. For more, read Brian Solis' post Social Slacktivism: How to use social media to promote human rights and social justice." "The one thing I wish nonprofits got about social media is that telling true before/after stories is a million times more compelling than kitty pics. Seriously." Thank you so much for including my tip. It's a great post. Lots of wonderful tips here. Thanks! I love the phrase "visual stories." I will definitely be using that in the future! Thanks for the opportunity to contribute Marc. Some really strong advice in here. Thank you! I get a kick out of your use of "amazing." The energy truly is amazing. And that word seems to energize the post! Fantastic post, Marc! Your contributors left no stone unturned. Thanks for including me in the fun! I loved your addition of stories being before and after stories. That really helps a donor or prospect see the impact their gift can have. April said that we should humanize the purpose of our cause. I think that's a great statement. Now, does anyone have a good example of that? I would love to hear what that means to you. Ok, everyone: what is your favorite example of a nonprofit humanizing? I feel this is among the so much significant information for me. And i am satisfied reading your article.This is a great blueprint on how to get started using social media for business. I will save this article and use it as a reference. Thanks for sharing this article Marc! 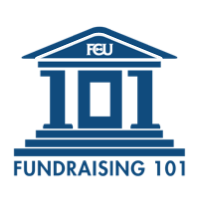 Great tips to maximize fundraising through social media. It's a great way to get the community involved and start building relationships with potential donors and volunteers. Thanks for posting! Thanks for putting together these thoughtful quotations. Nonprofits need to be using social media tools more than anyone, so this is much needed inspiration. There are millions of good people anxious to help that often aren't seen by those begging for help. The connectedness we enjoy today finally allows us to have a two way conversation in marketing. What a wonderful time to have a cause. This is a fantastic resource as I gear up to help some organizations I work with get more comfortable with social media. Many thanks! Nice share Marc, will have this in my resources list!